Walking home form work yesterday I snapped a few shots of the midwinter day. The sky, a flat gray, hovers low over my head. 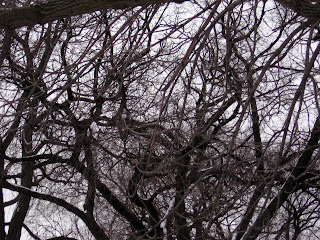 I love the way the tree branches look against the sky; like lace or veins; delicate, yet they are strong, heavy wood. Winter can be hard; this one surely has been. 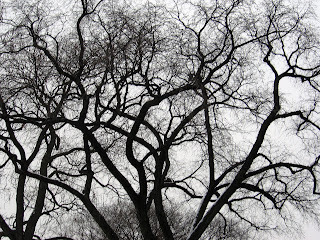 Still, I delight in the beauty of the starkness.